Studying for School Exams? need a little extra school exam support? be well prepared with tailored tuition.. Exam Preparation is the key to success. Whether your child is about to sit SATs, entrance, GCSE or A Level exams I can provide a tailored individual programme of study based on an initial assessment. This will ensure that your child makes progress and gains confidence. For some tuition will require covering key skills, catching up on missed work or for others knowing exam techniques can make all the difference. 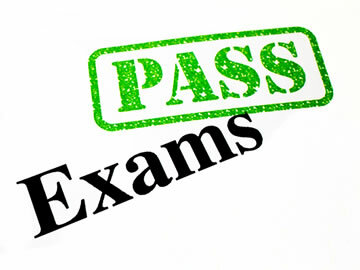 A lack of confidence and nerves about up-coming exams can make the difference between a pass or a fail. By practising beforehand within the time constraints, stresses can be smoothed away both for yourself and for your child. The programme of study can be for a variety of subjects English, Maths, Biology, Chemistry, Physics, History or Geography. Revision techniques, planning and focus can help your child prepare both with myself but also within their own home. Such revision skills are invaluable throughout their educational career. By using a variety of my own resources, books, educational games and information technology your child will be provided with a stimulating and enjoyable programme of study. Learning is greater when a child can see the relevance and find the experience enjoyable. In addition, being the mother of a child who has just completed his GCSEs I have a great insight into how both the student and parents feel, the stresses are far greater today with the emphasis on performance and meeting entry requirements for other educational establishments. Primary school SATs were changed and made much more vigorous than previously. For English, students are expected to rank or order events, complete short structured responses, as well as answering open-ended questions. In addition there is a grammar, punctuation and spelling test. This involves children identifying parts of sentences such as adjectives and modal verbs. For the Maths SATs students are required to answer arithmetic questions, multiple choice questions, maths reasoning and explain their approach to solving a problem. Overall 3 papers will be sat, which can cause much stress. Effective preparation can boost confidence and allow skills to be practised beforehand. For some there are science SATs which involve the sitting of three papers in Biology, Chemistry and Physics. Curriculum revision can help to repel fears and build confidence, as well as cover areas that may have been missed through absence or have been misunderstood. The previous National Curriculum levels have been scrapped and now children can expect to be given scaled scores, with 80 being the lowest and 120 being the highest. Originally the Department for Education expected 85% of children to reach an expected standard result, but this has now been reduced to 65%. Give your child the best chance of achieving the standard result, as this will give them the best start for their secondary school life. Help boost your child's grades by a tailored made programme of study following an initial assessment. Problem areas can be tackled, skills developed and reinforced, confidence grown and revision strategies developed. Revision planning and focus can then be utilised by your child within their home to help them with homework and other studies, both now and in the future. English, Maths, Biology, Chemistry, Physics, History and Geography are all catered for depending upon your requirements. Whether for Foundation or Higher tiers or for which ever exam board your child is being entered for, I can help them to consolidate skills, boost grades and achieve the results that they deserve. This is especially important considering the new 9-1 exams, which were initially for English and Maths this year but will be rolled out across all subjects from next year. The new rigorous exams will expect students to memorise many more facts such as whole poems or the periodic table and then to utilise their knowledge in the exam to answer more difficult questions than previously set. The Maths exam has seen skills that were once expected of A Level students being now expected of GCSE students. Consequently students are feeling unprepared and lack confidence, tuition will help to overcome these barriers. Following on from the changes at GCSE, the A Levels are also set to change. Although AS level is to be abolished many colleges are sticking to the familiar routes. However, this may lead to gaps in knowledge and difficulties in navigating the course. A Level revision is offered for English Literature, English Language, a combination of both, as well as Geography and History. Tuition can help to guide students through what may seem a daunting subject, ensuring that exam preparation is as stress-free. Whether the course being followed is English Literature, English Language or a combination, students can benefit from having a well-qualified English tutor to guide them in a stress- free and beneficial way as possible, whilst at the same time encourage them to take control of their own studies in preparation for university life. Guidance with revision and exam techniques can assist with the knowledge required and navigate the changes in the qualification. Thus helping students to achieve their potential and move forward towards their career of choice. Entrance exams require a different approach to mainstream exams. For instance, the Year 7 entrance exam for Bolton School requires passing verbal reasoning, non-verbal reasoning as well as Mathematics and English. The former two exams cover areas that are not taught within the mainstream sector. For Manchester Grammar School, there are two very different arithmetic papers and English papers. In addition, there is the interview, where students will need to answer questions eloquently and confidently. The creative writing exam is very different from the SATs exams, which no longer require students to write creatively. Tuition can develop writing skills so that a structured well written narrative can be achieved. An initial assessment will help to determine the areas requiring focus. For the mathematics exams, sound mental arithmetic skills are essential, along with a a grasp of problem solving, percentages, fractions, decimals, area, volume and perimeter. In addition - probability, algebra, long multiplication and division. The question papers will again look very different from those seen by pupils in mainstream. For those with younger children early intervention will help to raise your child's attainment, as the private sector expect students to be performing at what was Level 5 under the previous National Curriculum levels. This being higher than average.